This is your place to come home to. to get away from everyday life. burning autumn leaves in autumn, and snowy scenery dyed white in winter. as a place just for you where you can come home to feel the changing seasons. A journey ideally suited to you, leaving everyday life behind, starts from here. 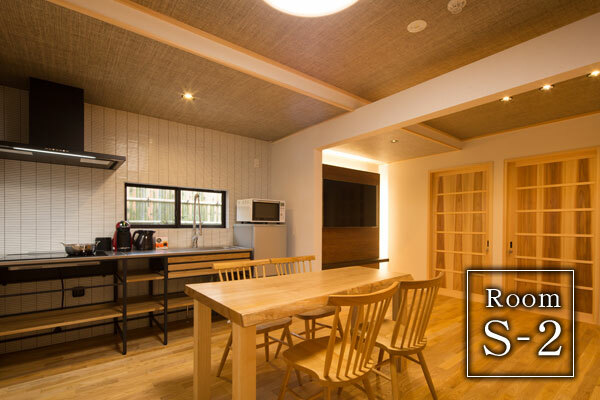 At ARASHIYAMA Premium Residential, we are waiting for you with a variety of services and facilities so that you can have a special time in Kyoto and enjoy a pleasurable time. You can book out one entire floor, so that you can stay without having to worry about other customers. Each room is equipped with a relaxing bath where you can unwind while admiring the garden. 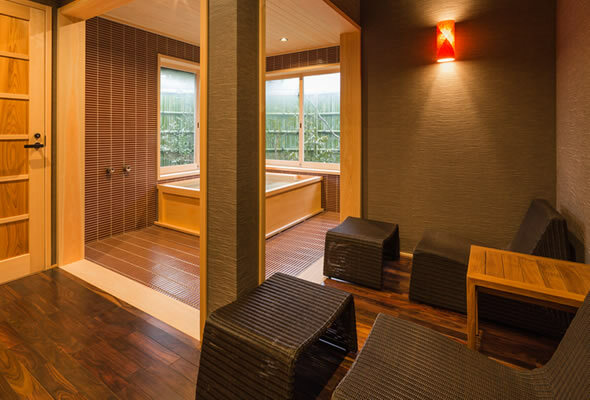 After enjoying a walk in Kyoto, a relaxing bath at Arashiyama will relieve the tiredness from the trip from the bottom of your heart. We have prepared world highest standard beds so that you can enjoy the best possible day from the moment you wake up. You can enjoy your trip in your best physical condition. A kitchen that balances being a space for relaxation and ease of use. A spacious sink and a high calorie IH allow you to cook in comfort. 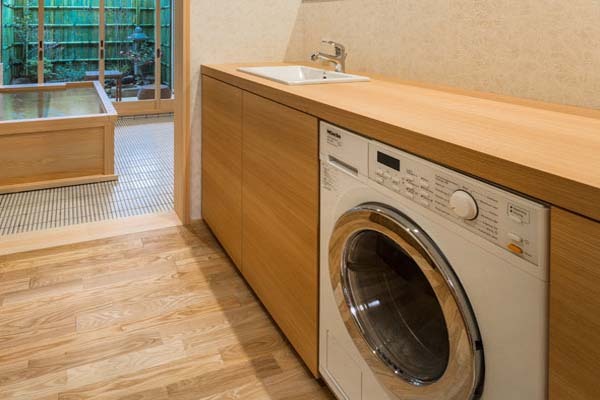 Even if you have lots of clothes to wash, this top model washing machine will give an excellent finish. 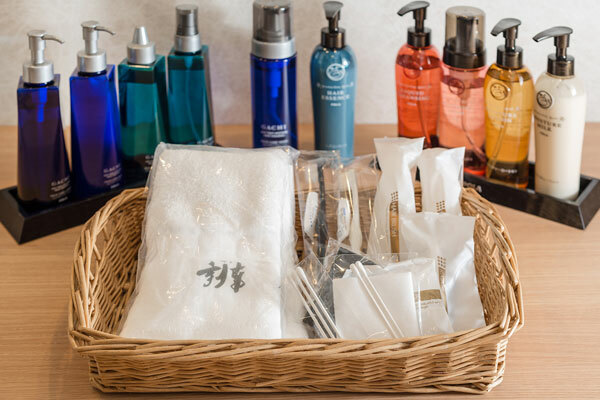 We have prepared various amenities to make you feel comfortable. Complimentary Internet connection with high-speed Wi-Fi connection service is available. 55-inch TV with high image and sound quality, Internet TV available with CATV pass through that connects to the Internet. Bath time while relaxing on the sofa in the bath area. We offer a comfortable space with floor heating and air purifier. Enjoy a carefree time by booking the entire floor. 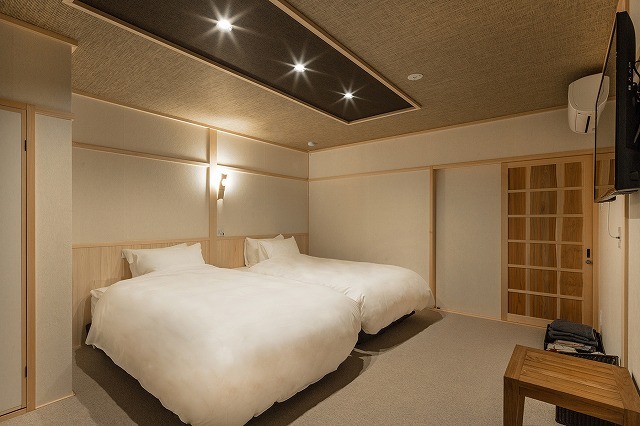 ARASHIYAMA Premium Residential is a premium guesthouse that has opened in the premises of the popular Benkei Kyoto Arashiyama. 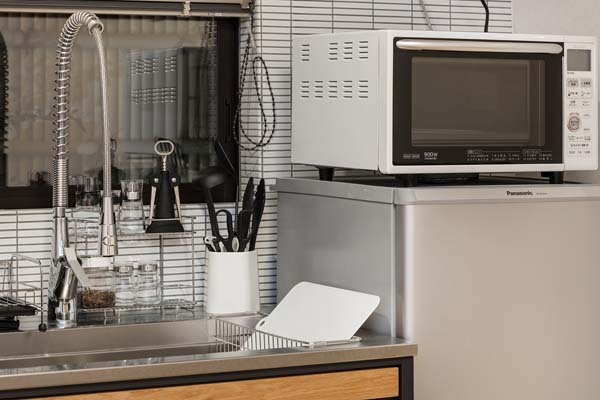 The residential type accommodation features kitchens and laundry facilities, making it suitable for long-term stays. Both two rooms are designed so as to provide relaxation in the bath space. These new facilities will be a base for sightseeing in Kyoto like nothing that has gone before. 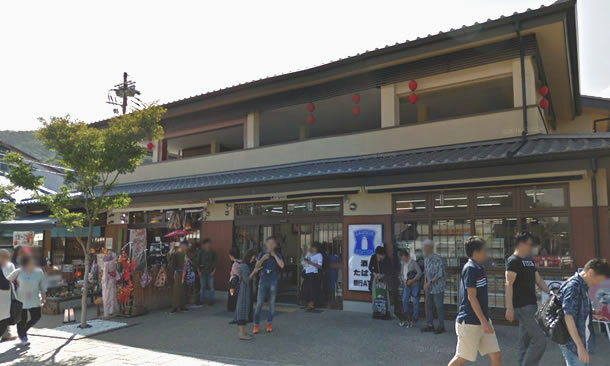 Of course, with the involvement of Arashiyama Benkei, you can enjoy dinner there. Or you can pick up your own food using the bicycles provided and cook for yourself. 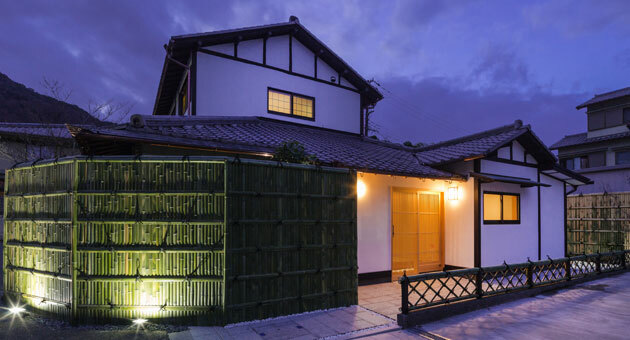 A separate residence standing in the premises of Arashiyama Benkei (200 m walk from the lobby). 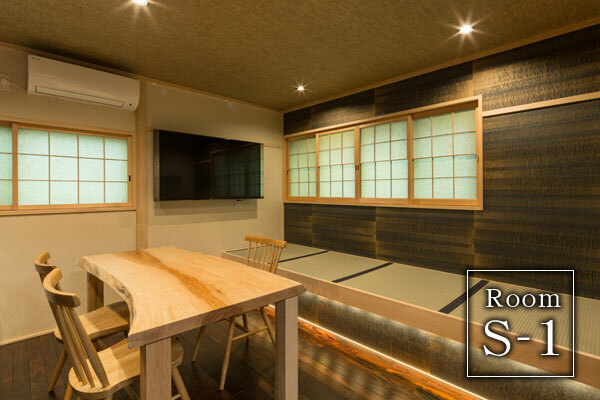 We have created a space with a quiet appearance where you can relax and forget the bustle of Arashiyama. You will feel as though it is your home in a foreign country. The wood-themed space softly envelops you and makes you feel at peace. 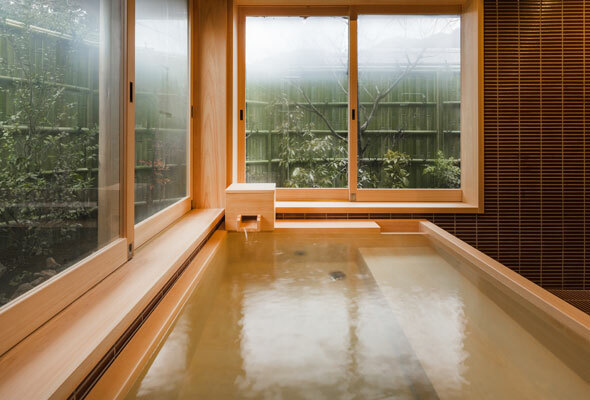 Take a leisurely bath in the exquisite bathtub with its small garden and transform your Kyoto trip into an elegant time. Charges are set according to period and guest room type. For details, please contact us. Charges are on a room charge basis, depending on the number of people and the season. Check in time is after 15:00. Reservations can be made on our website by credit card in advance. Reservations from various travel websites will be booked by settlement according to the rules of each company. 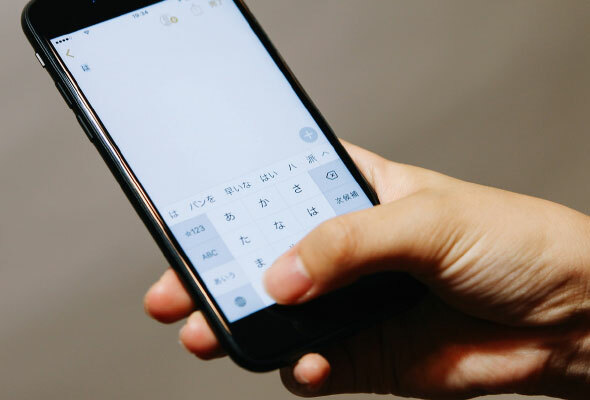 The following credit cards are accepted: JCB, VISA, Mastercard, AMEX, UC, DC, NICOS, Diners, UFJ, Saison, Debit cards * Depending on your plan you may not be able to pay by credit card. S-1 is a two story residence so guests who are unable to climb stairs should use S-2. There is a washing machine / dryer, a bath space and a toilet on the first floor, and a kitchen, living room and master bedroom with en suite bathroom on the second floor. 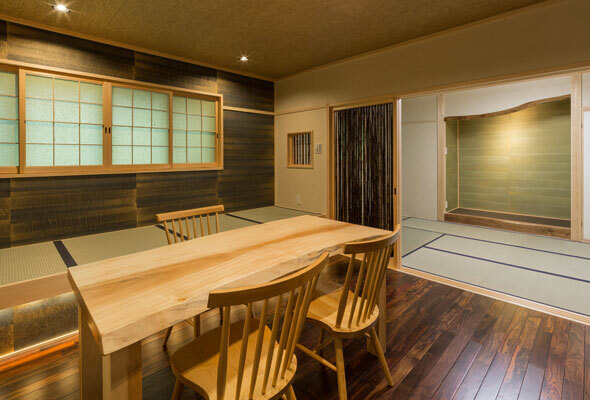 If there are three or more guests it is possible to sleep in the Japanese-style living room. 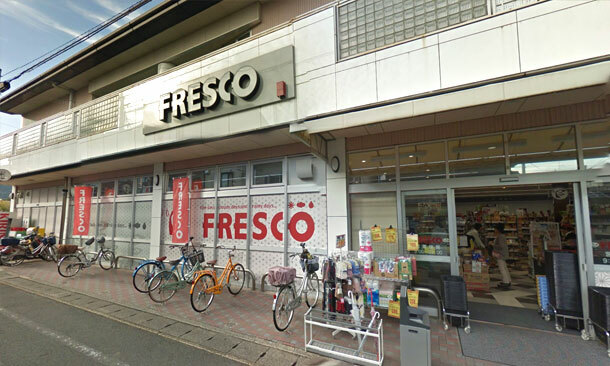 Pick-up services and taxi arrangements are made at the Benkei front desk. 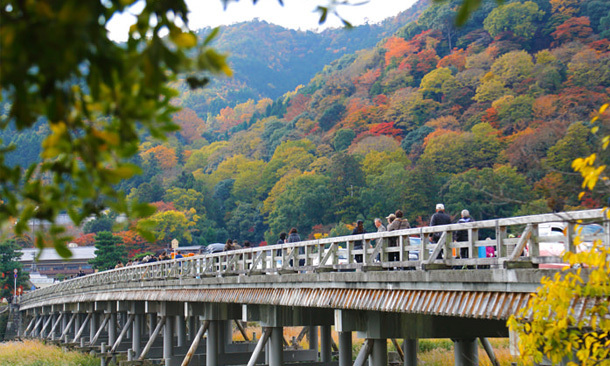 A 16 kilometer, two-hour journey from Tamba-Kameoka to Arashiyama. 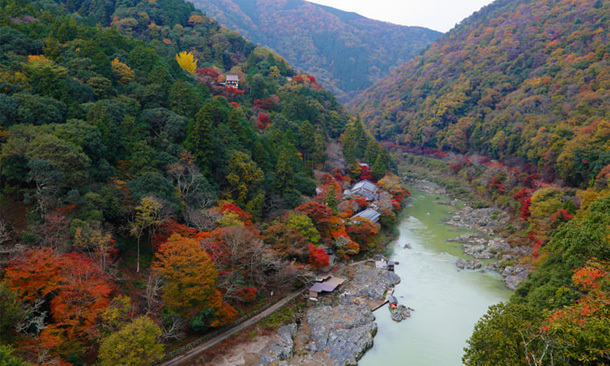 Experience the exciting rapids and mysterious deep pools, through the ravine of the Hozugawa River in the beautiful seasonal scenery. 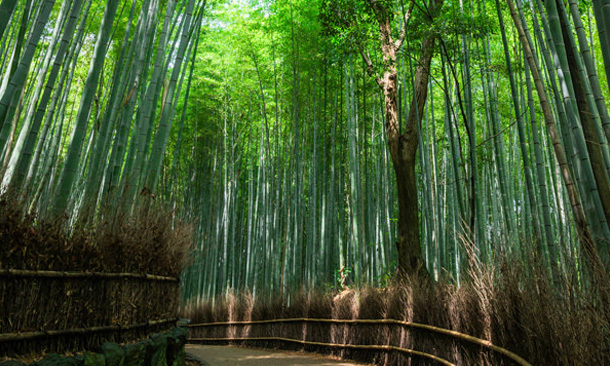 A small bamboo forest with a length of about 400 m, leading from Nomiya-jinja Shrine to Tenryu-ji Temple and Okochi Sanso Garden. The lush bamboo extends so high that it covers the sky, and the dappled sunlight creates a fantastic space. 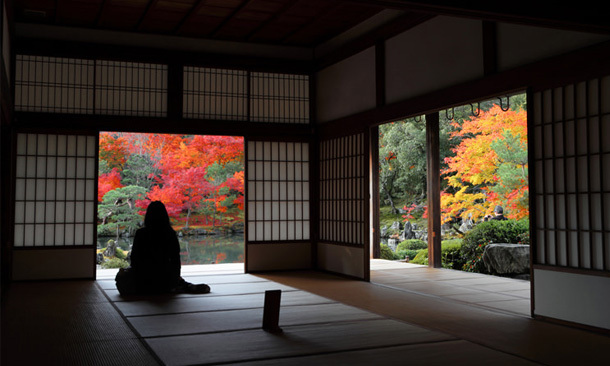 Tenryu-ji Temple was registered as a UNESCO World Heritage Site in 1994 as a cultural asset of ancient Kyoto. The style of garden that features a path around a pond with Kameyama and Arashiyama as a background changes with the season. 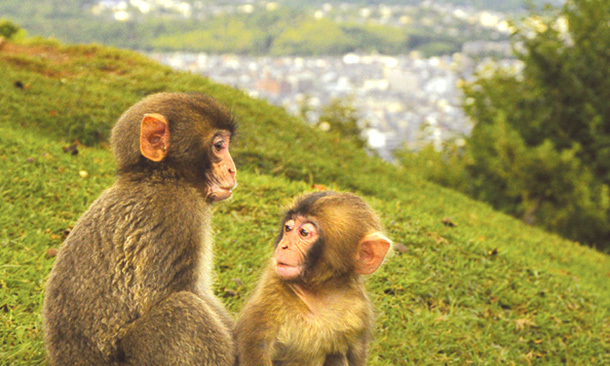 A vast monkey park overlooking the city of Kyoto in Mt. Iwata, which is a branch peak of Arashiyama. Here you can feel nature and experience more than 130 wild Japanese macaques as well as wild birds, insects and plants. 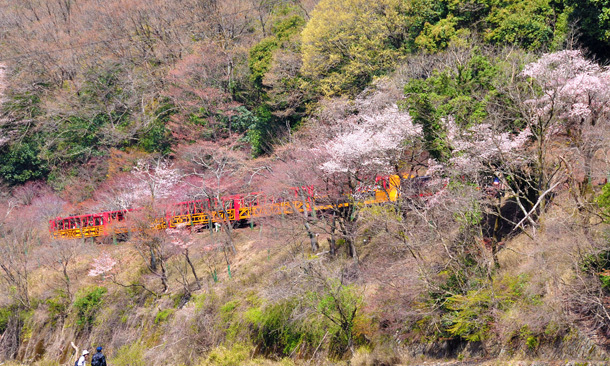 Sagano Romantic train is a 7.3 kilometer journey to Kameoka along the Hozugawa Ravine, starting from Sagano, and takes approximately 25 minutes. You can deeply experience the seasons, with cherry blossoms in spring, lush green in summer, autumn leaves in fall and snow scenes in winter. Copyright © Benkei Annex ARASHIYAMA Premium Residential Inn. All Rights Reserved.